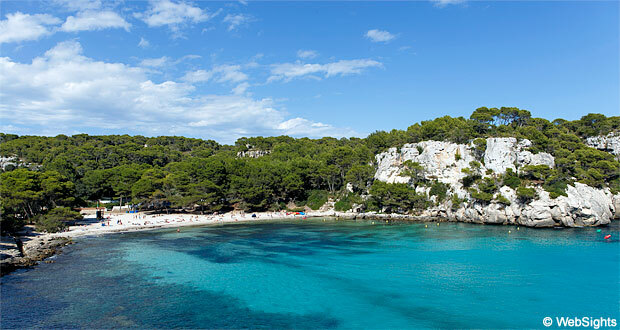 The natural beach Cala Macarella is located in the south-western part of Menorca, less than 2 km from the popular holiday resort Cala Galdana. 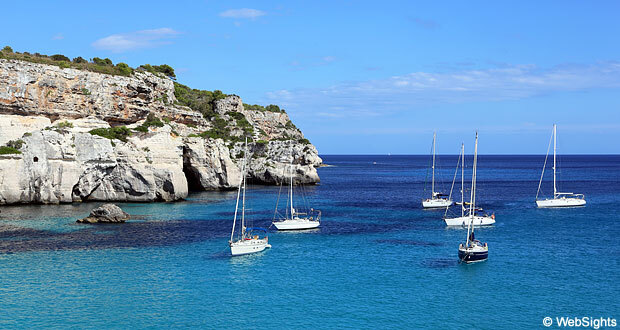 Cala Macarella is a beautiful natural beach located in one of Menorca’s most dashing and photographed bays. The sand is bright and fine-grained. The water is extremely clear and particularly from a distance, the water has beautiful turquoise shades. Waves are very rare. 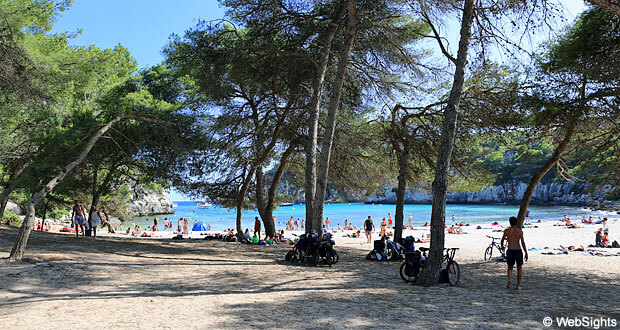 It is not possible to rent sun lounges and sunshades at the beach, but there are toilets. During the high season, there is also a lifeguard at the beach. There are two parking spaces. The closest one is approx. 300 m from the beach, whereas the other one is approx. 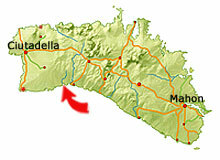 1 km away. The latter has free parking. 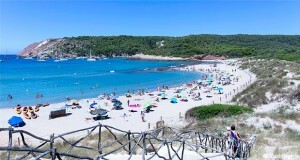 From Cala Macarella there is a trail to the smaller Cala Macarelleta beach. The trail goes over the rocks with some lovely views along the way. 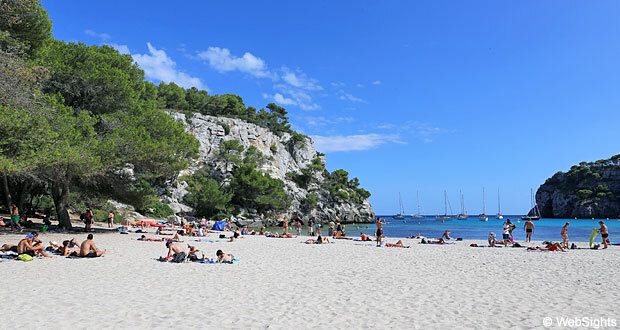 The lovely soft sand and the shallow water make Cala Macarella a very child-friendly beach. However, the children must be able to walk for 5-15 minutes from the parking space. No water sports activities, but it is fantastic to swim and snorkel in the bay. 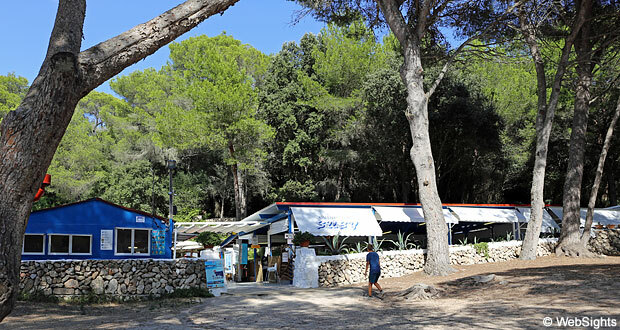 Restaurant Susy, which lies very close to the beach, has a varied menu. Some of the favourites are the so-called raciones, which are large portions of tapas. 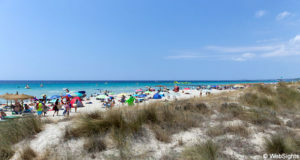 The holiday resort Cala Galdana, which is located close to Cala Macarella, is one of the largest holiday resorts in Menorca. 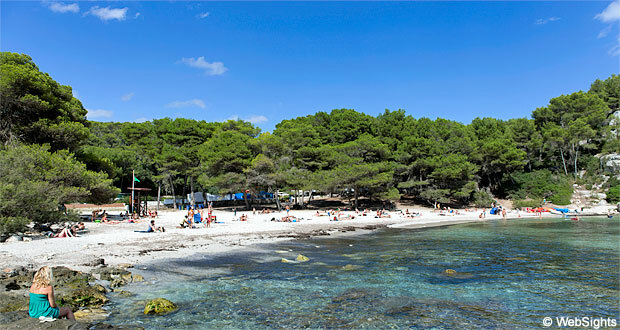 A nice and friendly holiday resort with many hotels, restaurants, shops and, not least, a very large sand beach.